I guess you all have had bad and good clients, right? The bad ones are the ones that are greedy, they think that they can call you on a sunday evening to remind you that you didn’t reply their email of saturday yet, they cause delays since they can’t decide about what they really want and change their mind every 4 days (but blame you when the project is late) and they won’t pay until you did send them 26 reminders. The good ones are well prepared, they know exactly what they want, they give accurate input, they know your true value and hence don’t mind paying you right on time. They understand that if they change their mind 75 times it will delay the project. And they rather send a mail for non urgent things in stead of calling you 7 times per day for nonsense as if their hair is on fire. They are not looking for the cheapest architect in town, but for the best price/value. They understand that a good project requires good collaboration and effort from both sides. What has my website to do with all of this this? Well, nowadays, EVERYONE will go look at your website before hiring you. Use your website as a gateway to filter the good clients. Ideally, you want to be only contacted by the right kind of people. Loosing time on a bad prospect literally cost you money. Your website, online 24/7 and just being there, is the ideal candidate to act as a gateway to block the bad clients from even contacting you. Sure, I know. You have more important things to do right now than changing your website. You have to please one of your bad clients, right? If you really like to keep on doing this forever, please don’t read on. If you want to change direction and get better and better clients from now on, read on. With a few hours of effort in your website (one time effort! ), you can save months of frustration, hair pulling and head-against-the-wall-banging. Filter on price. 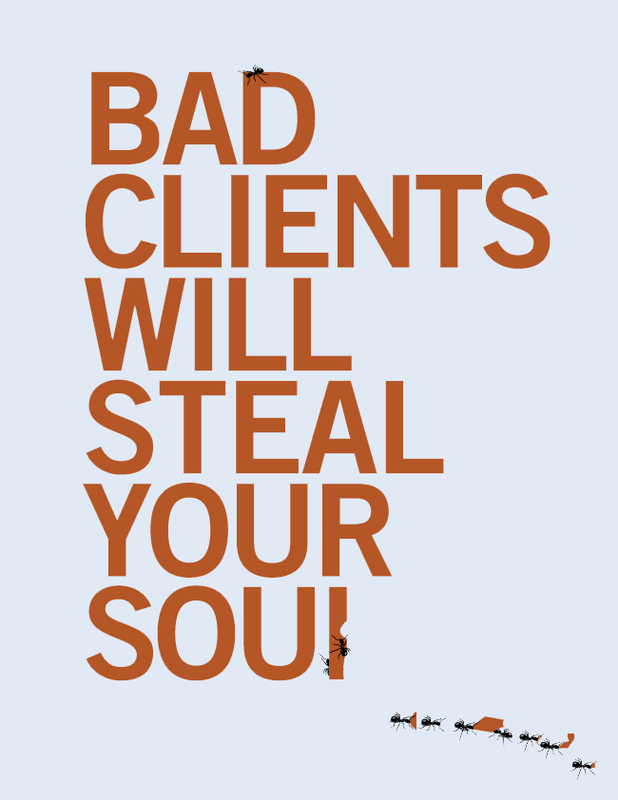 Bad clients typically are greedy. I realize that when you just get started as an architect, you will accept about any project. Better a crappy project in your planning, than no work, right? Typically, the most greedy people are the ones that will squeeze the most out of you, complain about minor issues as if their hair is on fire, and pay their invoices very late. How to solve it? Simply put a price filter on your website. It will scare off the greedy ones. If you don’t want to put your hourly rate in public on your website, then you could as well ask for the budget they have in mind for their project. Just ask it straight away. There is nothing wrong with aligning from the start on on this topic. 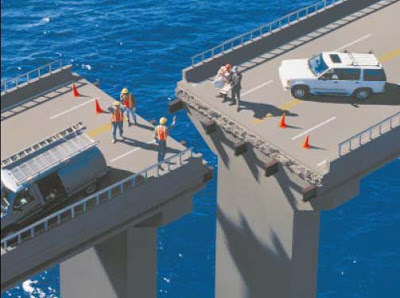 If the client has total unrealistic expectations budget wise, better to know it upfront, no? Alternatively, what works well on your website is adding a drop down in your contact form, that asks for their budget. You could add drop down choices like “between 5K – 10K”, “between 10K – 50K” and “over 50K”. That will simply block everyone that has less than 5K budget from contacting you. Or make it an open text field where they can fill in any value, but make it mandatory in order to submit the form. Write down your principles on your website and say who you want to work with and who not. It’s plain stupid and there is zero rocket science involved here, but yet so few people do it. In the “about” or the “work with me” page of your website, just make a section of what kind of people you want to work with, what you believe in, what your principles are. 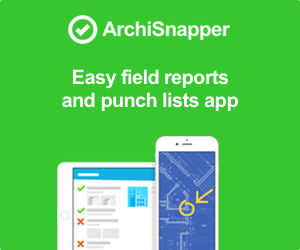 This is an AWESOME filter to attract the right kind of clients. The type of clients that you really want to work with. Do you think it sound harsh and it is “not done”? No it’s just efficient and will save you lots of energy spent in the wrong type of proposals for the wrong type of clients. By explicitly saying what are your working principles, how you work, what you expect from your clients, and what you won’t accept from your clients, you show professionalism, confidence in yourself and you choose for a clear niche of clients. In stead of staying in the “gray zone” and not choosing black or white, just say it how it is, and say how you work, what you believe in and what you don’t believe in. Sure, you’ll have people that hate you, but you’ll also have people that love you. You’ll attract the ones that love you, which will result in projects that you enjoy so much more. And even better is that people who love you, are willing to pay more for your time. They will feel “connection” right away based on what you put on your website in the “about section”. Again, you might think that this sounds is plain wrong, but in reality it just works. You will have less requests for proposals, but the ones that contact you are dream clients! Putting these “working principles” online without hiding them gives you a lot of authenticity. People know who / what they will get upfront. People love this kind of transparency. [note: totally by accident, this is my personal dream house :-)]. So, I come and visit your portfolio page with my dream project in mind (new modern minimalistic house in rural nature), just to find out that your portfolio contains 101 different projects, but none of them are any close to what is my dream house. Guess which button I will click? As you might have guessed, your portfolio will attract clients who will recognize them in your history track. So, by focussing your portfolio more on the type of projects (and clients) you want to work for, you will attract the type of clients and projects that you really enjoy. Hire a decent web designer. Just remember that a web designer has a core business: building websites with a very professional look and feel that attract people and convert them into customers. Just like you have your core business (architecture). Sure, you can hack something together, but it will cost you a lot of time to get to something, and that something will be far worst than the average site. Since, well it’s not your core business, so you’ll have to find out everything yourself, and even after spending lots of time, the result will be average. And with an average website, you’ll attract average clients. It’s that simple. If people see a professional and good looking website, they realize that the company behind is serious, has a certain value and cost, and is not just “any company”. A good looking website will scare off bad clients. It’s worth it. What are your experiences with bad / good clients? Leave a comment. This post definitely makes a lot of sense. I’ve had a bad experience with a client when I was paid only half the fees we had finalized upon. Ever since I have been on the look out for the right type of clients, although it is slow but I guess it’s fine to wait. Since I am from India, people here are very practical and hell bent upon spending less money but recite a big requirement. A lot of people say they want this and that and when you tell them that it could cost around so much, they run for their lives. The good clients (who understand how we work) go to already the well established firms and it’s hard for us starters to get good clients. Another issue is, many people don’t want to read the written content on the websites and because of that they will directly message asking how much would you charge for designing and executing something. They expect a costing without even telling that so and so is their requirement and this is the site or the house layout where they want the house or the unit to come up. In your opinion, what would be an alternative way to attract clients other than a well refined website? My website is still under construction. Thanks, awaiting for your reply.